My life in 10 sentences are a mixture of like & dislike. I came into this beautiful world on my parents first wedding anniversary day in the month of June 16, my parents always tries too give me best things which they couldn’t get in their childhood so I am really grateful to lord to blessed me with such a a careful parents. Being a introvert school goer I was average , honest, hard worker student who likes English most among all subjects & repel maths. While growing into Teenage I totally fall in love of science where I could find more interest in Botany & Zoology so joined science stream become bachelor of Science. While flowing with life find more interest in teaching so became teacher while humming with practical life also takes interest in reading, net surfing, drawing. I don’t like boasting & person who tries to become over smart instead of appreciation, ignores the skills of others & pass remarks. I think life is life is like a boat which floats along with the waves of happiness & sorrows clouds of calamity, praise, malice everything is in the hands of boatman i.e. in our hands where you have to channelize our self. In an ancient times when early man discovered the fire his entire life had been changed since then he used the fire for to cook the food especially raw flesh, roots of plants etc. as well as to get light during night & warmth in winter. After that early man thinks how to use this fire for other purposes too. Needs of primitive man was very limited as he used sharp stone for hunting, simple stones for to make a hearth, clay to make a pots to store food & water etc. 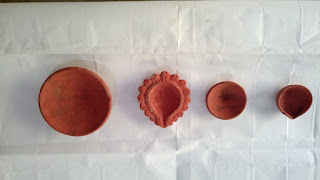 at that time he developed the art to make diyas of clay so as to keep fire burning. Diya is known with several names like in various languages like Diyo, Deya, Divall, Deepam or Deepak. Familiar with our culture. 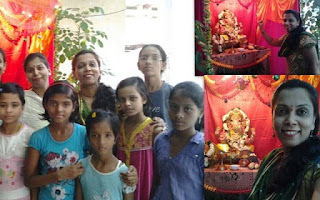 My idea of this year to celebrate ganesha festival is Go Green Ganesha to save our mother earth. This is my favourite go green clay Ganesha with real breaches of trees(branches of custard apple ect.) of my home garden I used green theme & instead of thermocol & other harmful material. My Ganesha loves to sit below the tress who says Trees are our best friends. In this way by singing a song of Ganesha, “Sendur Lal Chadha Achha Gajmukhko dondil lal biraje sut Gauri hark o” in a standard sound not so loudly. Without sound pollution. In the amazing world of cell every day we get new s of new smartphone with advance features & fulfill customers’s needs & quench their thirst. There are so many smart phone of established companies like blackberry, Motorola, hutch etc. every company are in the race to provide best service to the user & consolidate their position in the this techno world. 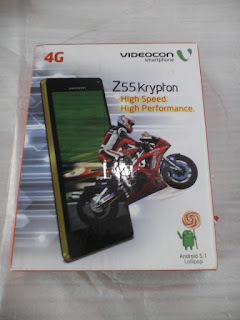 When I meet Videocon Smartphones4G Z55 Krypton, Android lollipop with high speed & performance it runs smoothly without any problem to user. I have nice white piece which mesmerize me.